Remember how great it felt the last time someone told you that you were doing a great job? Take some time to really think about that moment and revel in all its glory. Chances are, you felt valued and appreciated. That’s why it’s so important to take the time to praise employees on a job well done. Positive reinforcement will motivate workers to do their best and help them understand that you value what they do. It also helps boost morale around the office, which, in turn can help increase productivity. For example, I recently received a peer-to-peer eCard from my colleague, Emily. In the eCard, she acknowledged my team-player attitude and how I demonstrate our company values. This in turn motivated me to continuing behaving this way because I understand it's appreciated by the people around me – and well, being appreciated feels good! Simply put, employee recognition is a win-win for all involved and it makes for a positive work environment. Continuous acknowledgment and meaningful appreciation from managers is proven to lead to higher levels of employee engagement and productivity. Yet, 54% of employees don’t feel their boss does enough to appreciate them. Showing your employees you care is a necessity. If you are an employer looking to inspire your team, you may be looking for some examples of employee rewards and recognition. Here are some ideas to help you show some love to those who work so hard for your company. An employee rewards program puts power in the hands of your managers to recognize their top performers with rewards at hundreds of the nation’s top vendors. From fashion and beauty to entertainment and travel, there are loads of available perks that can motivate your employees. The bookworm at your company might appreciate new books from Barnes & Noble, while the avid hiker of the group might love a new pair of boots or parka from L.L.Bean. The Lab-loving employee might work a bit harder to earn some credit at Petco, while the music fanatic will strive to hit team goals a little more when there is an iTunes gift card at stake. Employees can receive tangible rewards that remind them how much their hard work means to the company and associates that reward with positive feelings for their employer. Another way to show love to your employees is to provide them with fun experience-based employee rewards to help deepen connections and improve employee collaboration. Here are some examples of employee rewards that are sure to be appreciated (and won’t be re-gifted). An easy crowd-pleaser is a trip on a cinematic adventure. 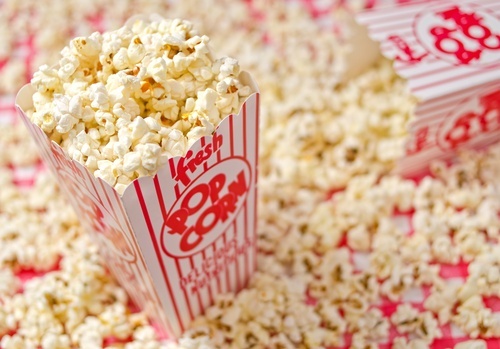 Rent out a local movie theater and be sure to offer up plenty of popcorn, drinks and candy. Your employees will appreciate the gesture, bond through the experience of film and have a great conversation starter for Monday morning by the water cooler. Nothing pumps people up while bringing them together quite like cheering on the home sports team. Whether your town is big into football, baseball, hockey, basketball, or soccer—you can find a team that most of your workers will get behind. After reaching a particular goal at the office, treat the team to a game in a luxury box, complete with refreshments and matching sports gear. In addition to rewards, employers need to offer continuous recognition to top performers. Recognition connects people to the bigger picture. Oftentimes, businesses have grand mission statements that don’t mean much to their employees. 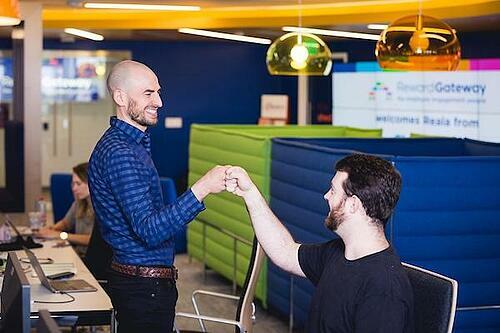 Employee recognition isn’t just for the boss. Peer-to-peer recognition is an important element of creating a culture of positive and continuous recognition across all levels of the company. 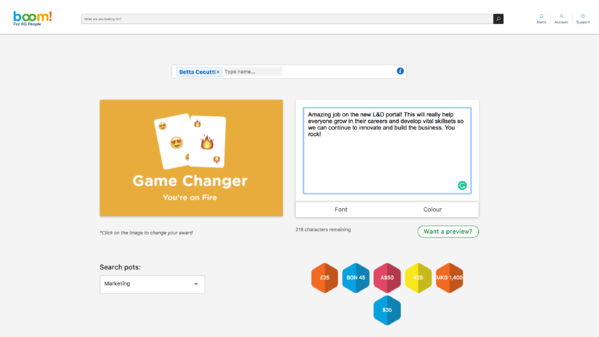 A clever and creative way to promote co-worker encouragement is to use branded eCards, which anyone within your organization can send and receive. These tailor-made eCards can reflect anything you choose, from showcasing your company values to hitting a company goal. Plus, employees can revel in the spotlight of achievements with special employee-facing social feeds. This small way of saying “thank you” can help boost morale and connect employees throughout the workplace. In this day and age, everyone is on social media. 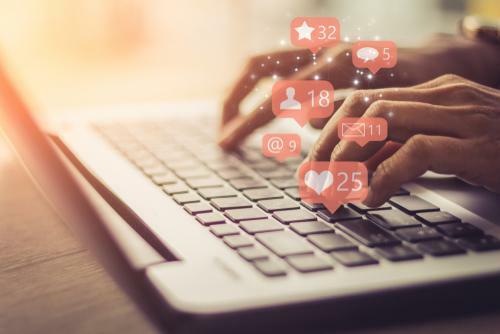 Whether it’s Facebook or Instagram, your employees are all likely using one platform or another. Showing your team love online is an easy way to celebrate big moments of excellence. 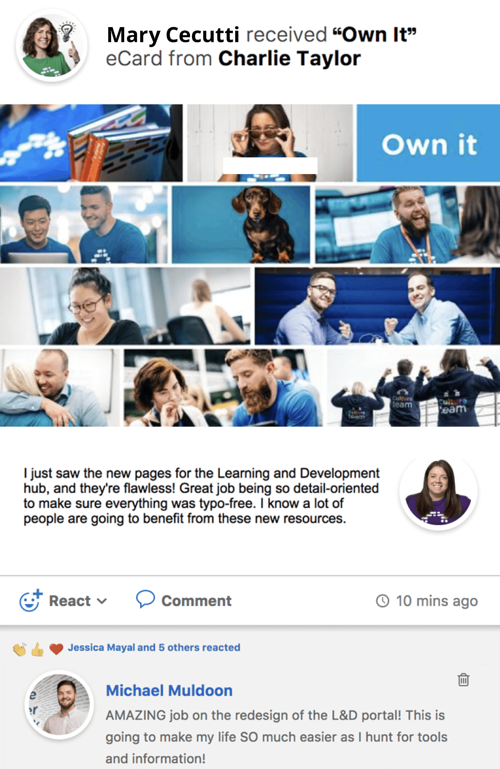 With an employee communications tool, you can display a page or real-time feed in which employees can interact with each other through comments and “likes”—promoting moments of gratitude, increasing visibility on team achievements and building positivity across the group. Your employees will feel instant recognition from colleagues who are tagged within company blogs or elsewhere to shine a spotlight on their achievements. Employee rewards and recognition go hand-in-hand, and both are incredibly valuable in showing your employees how much you appreciate them. 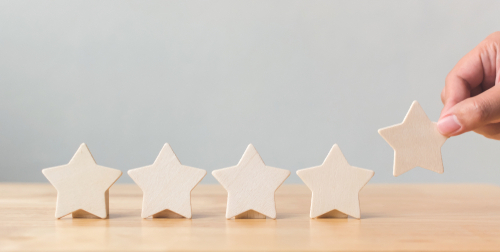 Remember, there are countless ways to execute employee rewards and recognition at your organization to start building a culture of continuous recognition. By appreciating your employees, you’ll start boosting employee motivation and productivity, and create a more positive workplace. Tell me, what next step will you take towards rewarding and recognizing your workforce?